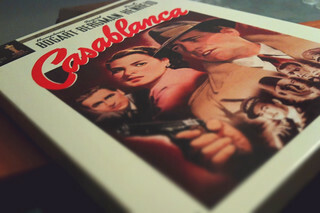 I suppose like most people when I hear this city’s name, the first thing that springs to mind is the famous film Casablanca starring Humphrey Bogart and Ingrid Bergman. You can even indulge in some make believe at Rick’s Cafe sipping drinks while a pianist plays “As Time Goes By”. The city has a rich architectural heritage ranging from the winding alleys of the Old Medina, the new Medina dating from the 1920s, French style palm lined boulevards, the Arab League Park and several Art Deco style buildings from the 1930s. 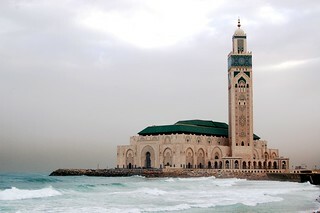 The Hassan Mosque which opened in 1993 is the fifth largest mosque in the world. It’s very dramatic as it sits on reclaimed land by the Atlantic Ocean and is now one of the city’s landmarks. The Mosque is open to non-Muslims. 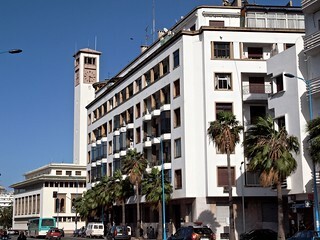 The modern port complex of Casablanca is the best place for fish restaurants. 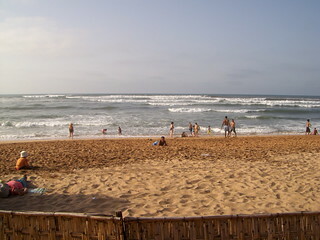 The suburb of Ain Diab is said to have the best beaches close to the city centre. To the north of the city, Bouznika Beach is also recommended. The Jewish Museum, the only one found in an Islamic country, is also a recent addition to Casablanca’s cultural scene, having opened in 1997. 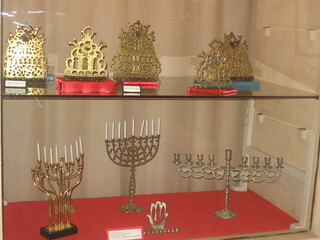 It has two synagogues, a document, photo and video library and an exhibition room. 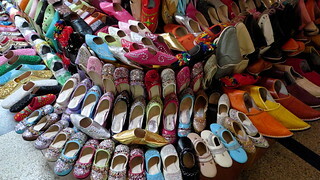 No visit to Casablanca would be complete without some shopping (and haggling) in the markets or small shops to buy some locally produced leather and carpets. 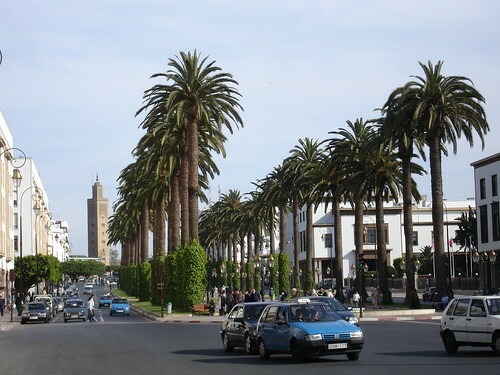 The capital of Morocco, Rabat is an easy day trip from Casablanca.